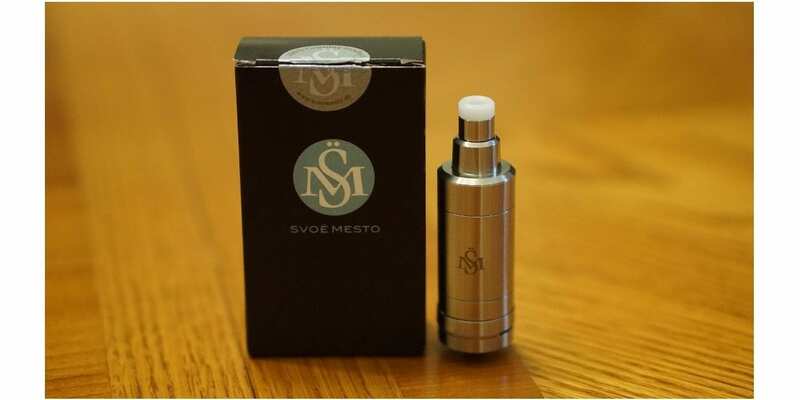 SvoëMesto Kayfun 5 Review - Daily Vaping Deals & The Best Vape Product Reviews at Vaping Cheap! The Kayfun is one of those tanks that are known by almost every vaper, especially vapers who love mouth to lung vaping. The Kayfun series have proven itself to be one of the best tanks on the market for those looking for an excellent mouth to lung vape experience. However, the newest addition to the Kayfun series is completely different, and offers a much different vape experience in comparison to other Kayfun tanks. Before getting any further I would like to thank Direct Vapor for sending this product my way for the purposes of this review. Direct Vapor offers free shipping with no order minimums, guarantees no clones, and best of all if you find a product cheaper, they do have a price match guarantee! In this review, I will go over my first impressions, building and wicking, the overall performance, pros and cons, and conclude with whether or not I recommend the Kayfun V5! Check out the SvoeMesto Kayfun V5 Here! Click Here to Check out the SvoeMesto Kayfun V5! Upon receiving the Kayfun V5 By SvoeMesto, the first thing I noticed was the simplistic packaging. This atomizer does come in a relatively small box, and within that box there are two more smaller boxes. One of the smaller boxes houses the Kayfun V5, and the other includes all of the spares. To open the initial packaging you do have to break the seal which states “100% Genuine Product”, so you know that this is an authentic Kayfun V5. When first taking out the Kayfun 5, what I first noticed was the height of this tank. This is a very tall tank, which I do think some vapers may find as a con. However, I didn’t mind the height too much as this would mean more e-liquid capacity. The overall base diameter of the Kayfun V5 is 22mm, so it’ll look great on most devices you attach it to. Also, I noticed the new airflow control system right away, which is a new addition to the Kayfun. With previous Kayfun tanks, you cannot adjust your airflow from the outside like most other RTAs or tanks on the market, which was a major gripe with some vapers. You literally had to tank the tank off of the mod to adjust your airflow. So, this is a major improvement for the Kayfun in my opinion, and a big pro to this tank. The Kayfun V5 did come pre-installed with the stainless steel tank section, and upon first looking at it, my first thoughts were that it’s a gorgeous looking tank. The stainless steel tank section does have engravings, which make it look even better in my opinion. However, even though the Kayfun V5 looks amazing with its stainless steel tank section, you can’t see how much e-liquid you have left, which is a con. I think if you’re vaping a temperature control build, then it wouldn’t be much an issue since you wouldn’t run into any dry hits. Regardless, they do include a glass tank section, which is what I preferred to use, and the tank still looked great with this installed. What makes this Kayfun so much different than previous Kayfun tanks, is that this version has much more airflow in comparison. Like mentioned previously, Kayfun tanks were known for mouth to lung vaping, but this new Kayfun V5 now offers direct lung vaping, which is completely new to the Kayfun series. Fans of the older Kayfun tanks may not be a fan of this, especially if they prefer to vape mouth to lung. Included in the packaging, you do receive a bag of spare parts, the extra glass tank section, and a user manual. I do want to mention that this tank does include screws meant for thicker wire builds, and these screws will not screw in all the way. So, if you are using this tank, be sure to not try and screw these specific screws all the way down as you can risk damaging the base or even breaking the screws, and possibly leaving the base unusable. With that being said, I do think it’s a huge pro that they included this and actually thought about vapers installing thicker wire builds, and with this you can see that this tank will vape completely different than previous Kayfun tanks. The overall build quality of the Kayfun V5 is absolutely stunning. All of the threading was smooth as butter, and getting this tank completely apart was easy. Nothing was overly tightened, which is a huge pro, as some newer tanks do have this issue, and makes it extremely difficult to take apart for cleaning. Also, this atomizer came clean, with literally no machine oil whatsoever, which is again, another pro. All in all, my first impressions of the Kayfun V5 were all positive. This is a well made tank, and is what you’d expect from a Kayfun. The Kayfun V5 features an improved build deck over previous Kayfun tanks. This is a single coil only RTA, which can be a subjective con, but if you’re purchasing a Kayfun, you should expect this already. There is a good amount of room to put Clapton and Fused Clapton coils, but nothing overly large such as a staggered fused Clapton. Building on this deck is quite easy, especially if you are experienced. If you’re a beginner you won’t have many issues either. There are “teeth” by the screws that can easily hold your build into place, making it simple to install a build. However, be sure that your coil legs are opposite of one another, as this is the only way you can install your coil properly. Once you have your coil installed, you can simply cut off your excess leads, and you’re good to go! It’s as simple as placing your coil build into the deck, have each lead trapped within the “teeth”, tighten your screws to secure your coil, and cut off your excess leads! Honestly, it took a few minutes to have a coil installed, and ready to be dry burned and wicked. Speaking about wicking, it’s extremely easy as well. Once you insert your preferred cotton, simply cut the cotton by the edge of the base. If you feel that there is too much cotton, you can always fluff it out, and trim the excess cotton, which is something I typically do with RTAs to ensure that the cotton will wick efficiently. What I do recommend is not to overstuff the wicking channel with cotton. Doing this will possibly cause dry hits. What I do, is simply lay the cotton on top of the wicking holes so that they are sitting right on top, but not clogging them. I found this to be the best way to wick the Kayfun V5. All in all, building and wicking this tank is easy! Advanced users will have no issues whatsoever, and beginners may have to practice a few times with the coil install to get it just right. Regardless, I do think it’s fairly easy and most vapers won’t have any issues. The biggest question about this RTA is how does it perform? Well, I can easily say that the Kayfun V5 is a fantastic performer! The flavor is phenomenal off of this RTA, and probably the best I’ve ever experienced with any tank. Honestly, once it’s built and wicked properly, this tank just performs! My preferred build for this tank was a single SS316L Clapton (26GA SS316L/36GA SS316L), which had a resting resistance of about 0.46 ohm. I did vape this build in both temperature control mode and normal wattage mode. I did prefer vaping this build in normal wattage mode as this is just my preference, but it performed just as well in TC mode. I did try other coil builds such as 24GA Kanthal, 26GA Kanthal, 24GA Ni80, Fused Clapton, and a few others. All of these builds performed just as good, but I do think that I got slightly better flavor with the SS316L Clapton coil build. What’s great about this tank is that I can run any type of build, and not have to run a ton of wattage to get a satisfying vape experience. With my preferred build, I would vape it around 35w, and get a warm and flavorful vape every single time. This meant that I had incredible battery life with any device I used the Kayfun V5 with. The vapor production is good with this tank, but don’t expect a massive amount of vapor production. This is definitely a flavor chasing tank, so if you’re looking for tons of vapor, then the Kayfun V5 won’t really fit your vaping needs. The airflow on this tank is nice and smooth. However, I do want to mention that this tank offers a very restrictive lung hit, even when wide open. So, if you do like restricted lung hits like I do, you will absolutely love the vape experience off of the Kayfun V5. If you like wide open airflow, then this tank is not for you, as it simply won’t provide that for you. With that being said, I preferred the airflow on it’s largest opening. Adjusting the airflow is also very easy. All you have to do is pull it up, and you will see dots. Four dots indicate the largest opening, and one dot is the smallest opening. Once you find your preferred airflow setting, simply push the airflow control back down, and you’re done! I do want to mention that you do have to align it properly, or else it won’t close completely. Not really a con, just something worth mentioning. With the airflow setting like this, I got a restricted lung hit, and the flavor was intense. At this airflow setting, you cannot get a mouth to lung vape as it’s just a bit too airy. However, if you do close off the airflow to its smallest opening, you can get a relatively loose mouth to lung. I don’t vape mouth to lung often, but it was certainly enjoyable. If you prefer more of a tight mouth to lung vaping, I do think that it might just be a bit too much airflow. Also, when wicking the Kayfun 5 as mentioned in the previous section, I experienced no dry hits whatsoever. This tank keeps up with no issues even when chain vaping. I can easily vape this tank bone dry. In addition, the e-liquid I used was 80VG/20PG, and it had no issues with wicking. A full tank can easily last me a couple of hours before needing to fill since I’m only vaping at around 35w or so. When chain vaping, I could probably get through an entire tank in about an hour and a half. Filling this tank is also very easy, and the threads of the top fill section is smooth. Just a couple turns and the top fill section comes off with ease. There are multiple juice fill ports, so you can fill this tank with no issues. This RTA does feature juice flow control. Something I do want to mention is that you should definitely close off the juice flow before filling, as I did not one time and I did experience some spitback and gurgling. I did not experience any leaking when doing this, but I do think it can leak depending on the VG/PG ratio of your e-liquid. So, be sure to close off the juice flow control before filling. To adjust the juice flow control, I recommend holding the tank and then turning it. A con to be mentioned is that if you turn the juice flow control too much when opening it, you will start to unscrew the base from the tank section. This, of course will cause your e-liquid to pour out. I never had this happen to me, but it’s still something to mention. I recommend about three turns, and it’ll wick just fine. However, depending on the e-liquid you’re using, you may not want to open it up as much. I do want to mention that the Kayfun V5 is compatible with 510 drip tips. The included 510 drip tip is quite comfortable, so I did not feel the need to change it. 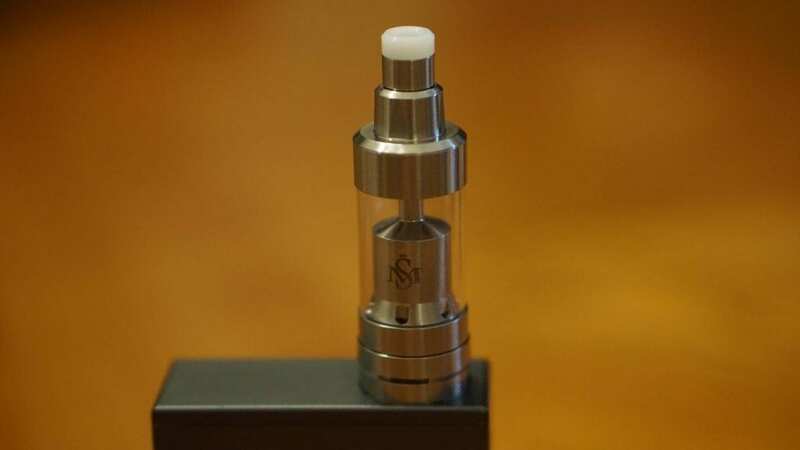 Plus, the design of the drip tip surely compliments the tank! 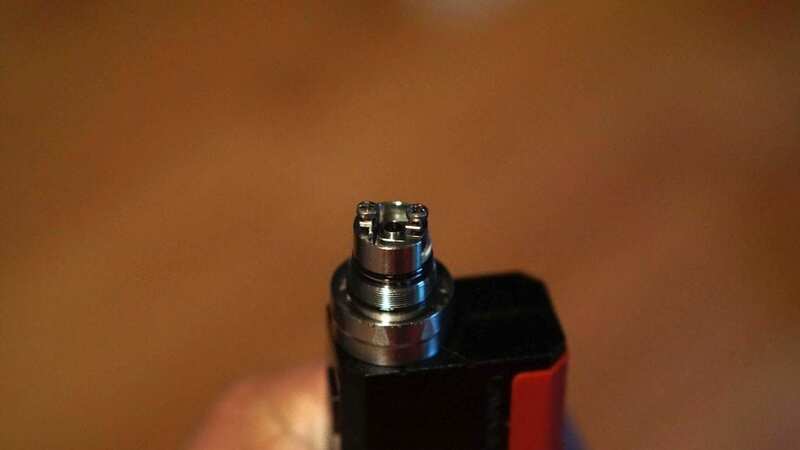 Also, some 510 drip tips may not look the greatest since where your drip tip sits, it is not flush, and it does protrude. Wide bore drip tips will not look good on this tank, but I honestly don’t see why you would want to use a wide bore drip tip with this atomizer. Overall, the performance of the Kayfun V5 is fantastic. The flavor I got from this RTA is one of the best, if not the best flavor I’ve gotten from any tank to date. In conclusion, the Kayfun V5 by SvoeMesto is an excellent performing RTA that offers incredible flavor. With that being said, the Kayfun V5 is quite pricey, but the overall build quality of this tank is superb, and you do get what you pay for with this atomizer. Honestly, everything about this tank screams quality, including the vape experience, and I do think this atomizer is worth the investment. Even though it is a great performer, I must say that this is not a tank for everyone. Many tanks on the market today offer tons of airflow and vapor production and typically require high wattage, which is something many vapers enjoy. The Kayfun V5 is the complete opposite of that, and will attract a different crowd of vapers. 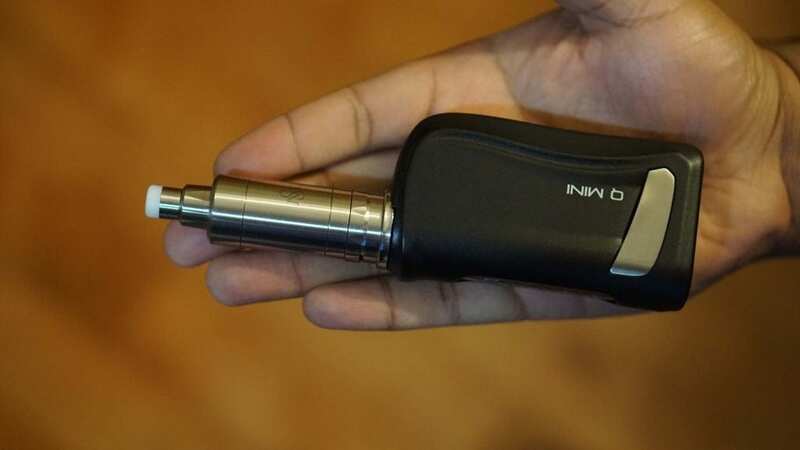 This atomizer won’t deliver tons of vapor, but it’ll surely give you top notch flavor. If you’re a vaper looking to flavor chase, then the Kayfun V5 can’t be beat in my opinion. However, if you’re a vaper who loves high wattage vaping or want tons of airflow and vapor production, then you won’t be satisfied with this tank. All in all, the Kayfun V5 by SvoeMesto is an excellent RTA, and if I lost or broke it, I wouldn’t hesitate to purchase another. If you’re into flavor chasing, and enjoy a restricted lung hit, then I can highly recommend the Kayfun V5.